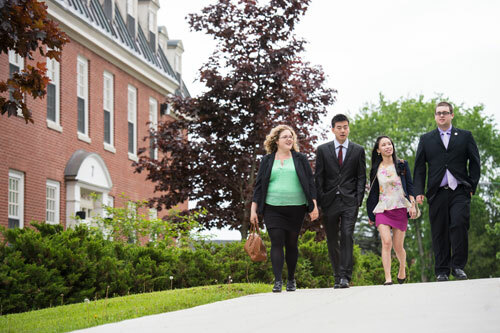 The bachelor of business administration (BBA) co-operative education program on UNB’s Fredericton campus has been running for over 16 years, providing students with the opportunity to combine paid work experience with their coursework. The program has been highly regarded by both students and employers and has just been accredited by the Canadian Association for Co-operative Education (CAFCE). CAFCE is the voice for post-secondary co-op programs in Canada, setting the standards for what defines a co-operative educational program since 1973. Their goal is to foster and advance post-secondary co-operative education in Canada and promote the highest quality co-op programs. They do this by setting national standards, promoting the value of co-op, and by providing opportunities for program administrators to learn and share best practices. “Accreditation of our co-op program shows that it follows the rules and standards set by CAFCE and can provide proof that it does so,” said Valerie Whyte, co-op coordinator with the faculty of business administration. The application process took almost a year to complete and entailed hundreds of pages of documentation. Some students in the program choose to complete their work terms in the province, while others, like fourth year BBA student Sloan Gillis, look for opportunities to work out the province. Another aspect of the program that many students value is the opportunity to prepare for the next step after graduation.